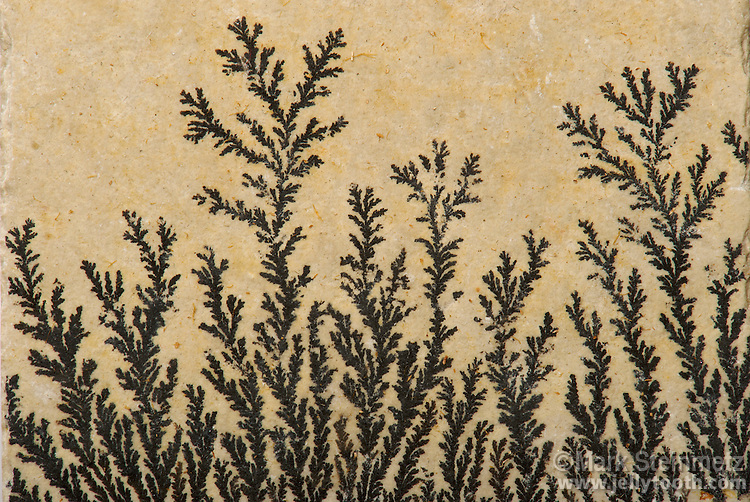 Manganese dendrites on a limestone bedding plane from Solnhofen, Germany. These dendritic mineral crystals are formed by slow seepage of manganese-rich water into into a joint or fissure. Due to the branching nature of crystallization, they are often mistaken for fossils--thus are referred to as pseudofossils. Jurassic. Width approximately 5 cm.